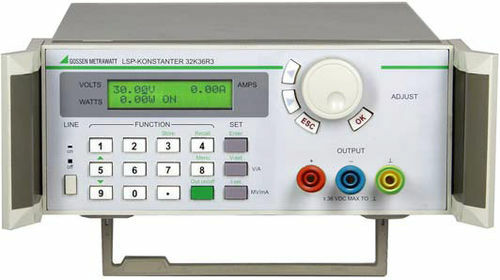 LSP Konstanter series 32K laboratory power supplies are high precision DC power supplies for use in R&D, production, service and training. Three variants are available with approximately 100 W output power. The devices feature excellent regulating accuracy and minimal residual ripple, and outstanding ease of operation.